Honda has stated that the 2019 Honda Accord lineup – which we’re proud to offer right here at Pohanka Honda of Salisbury on the Delmarva Peninsula – is the most impressive Honda yet, and we’d be remiss if we didn’t wholeheartedly agree with them. That’s because we’ve sold new Honda Accord models for years now, and we’ve never seen anything quite like the 2019 Accord lineup. But we’re not here to talk about the 2019 Accord lineup as a whole. Instead, we’re here to focus on the most environmentally-friendly models of the new Accord lineup – the 2019 Honda Accord Hybrid lineup, which is made up of the base 2019 Accord Hybrid, the 2019 Accord EX Hybrid, the 2019 Accord EX-L Hybrid, and the 2019 Accord Touring Hybrid. As we continue on with our in-depth look at the 2019 Accord Hybrid models available here at Pohanka Honda of Salisbury, you’re going to find out all you need to know about their power ratings and interior space specifications. How Powerful and Spacious is the 2019 Honda Accord Hybrid Lineup at Pohanka Honda of Salisbury on the Eastern Shore of Maryland? 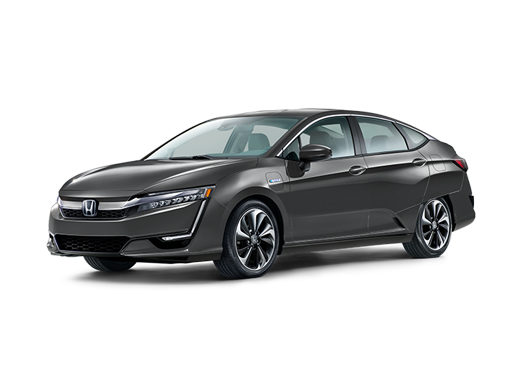 We told you which 2019 Honda Accord Hybrid trim levels are available, so let’s now find out what’s powering these impressive hybrid sedans. All 2019 Accord Hybrid trim levels are powered by a combination of a 2.0-liter inline 4-cylinder engine, an AC Synchronous Permanent-Magnet Electric Motor, and a lithium-ion battery. The engine features a horsepower rating of 143 and a torque rating of 129 pound-feet, while the electric motor features a horsepower rating of 181 and a torque rating of 232 pound-feet. The system as a whole features a horsepower rating of 212. With that out of the way, let’s now check out how much passenger and cargo space you’ll get with your new 2019 Honda Accord Hybrid. The trunks of all 2019 Accord Hybrid models feature 16.7 cubic-feet of cargo volume, while the base 2019 Accord Hybrid model features 105.6 cubic-feet of passenger volume and the rest of the lineup features 102.7 cubic-feet of passenger volume. If you’d like to learn more about the 2019 Honda Accord Hybrid lineup, please reach out to our staff here at Pohanka Honda of Salisbury on the Delmarva Peninsula.